At Right To Ride we would ask readers to read the full story as written below. We would also ask that you watch the video in full and to take a moment to contemplate at the end of the video before making any comments either here or on our Facebook page. The video can be viewed at the Norfolk Constabulary link or on this page, both links below. Also below are our own comments which come from our own experience dealing with the road safety aspects of motorcycling. Hard-hitting footage of a fatal collision in Norfolk has been released by police in an attempt to get motorcyclists and drivers to think seriously about road safety. The dramatic film, captured on a headcam fitted to the rider’s helmet, shows the moment a car crosses into the path of Norwich motorcyclist David Holmes who was killed on the A47 at Honingham in June last year (2013). David’s story, a video featuring clips including the collision as well as an interview with his mother Brenda, has been produced by police with the full support of all his family, who hope the campaign will prevent further deaths. The 38-year-old had been travelling at about 97mph at the time of the collision. Though the rider was travelling above the speed limit, the driver admitted to police in interview that he had not seen David, nor a car behind the motorcycle, prior to the collision. 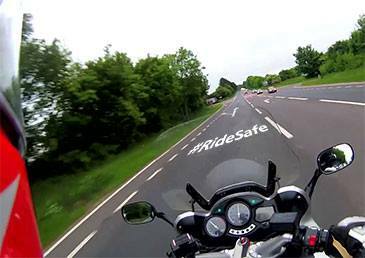 Ever since working within motorcycling one of the main issues has been that of rider road safety, either focusing on the rider or the reaction to other road drivers – cyclists or pedestrians or the road infrastructure itself. The title of the report belays the fact that what was being dealt with was not the motorcycle but a motorcyclist, a person and every fatality in the report is a David’s story. While we can look and study and try to find solutions, without blame, we can find similar stories in Northern Ireland of riders that were well over the speed limit but the actions of the other vehicle driver precipitated the collision; where another vehicle was considered the primary cause of the collision; where the evidence highlighted that the motorcycle’s lights were switched on and therefore the other vehicle driver was in a position to see them; where the rider had levels of alcohol over the legal limit and or drugs in their blood and where the motorcyclists involved in a collision were either riding in a group or with another motorcyclist. 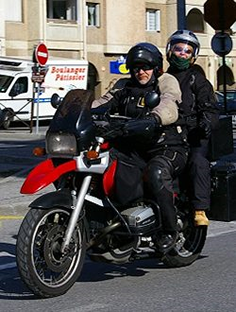 There appears to be a problem of looking but not seeing which may be due to the size of the motorcycle or simply because the car/van driver is expecting to see another car or van and has difficulty coping with the unexpected. However no matter what you ride or drive or pedal or push or if you just use your own two feet, just take time to contemplate that for every action, there is a reaction. Would still be alive if stuck to speed limit , if he wants to drive like an idiot goto the autobahn.